Here are some musings I figured I'd post. This isn't, necessarily, the most detailed or thought out of my posts. But I think that it is important to mention in terms of space and notions of responsibility, if nothing else. I loaded Second Life yesterday with the intention of looking for replicas of real-world cities - as research for another project I am involved in - but what I found instead was this: a World Trade Centre Memorial. 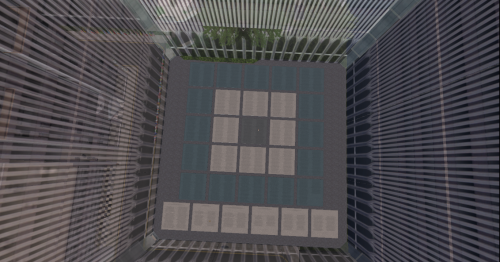 The Memorial is a rebuild, but the buildings are translucent, ghost-like, and their floors are paved with concrete blocks bearing the names of hundreds, if not all, of the victims. 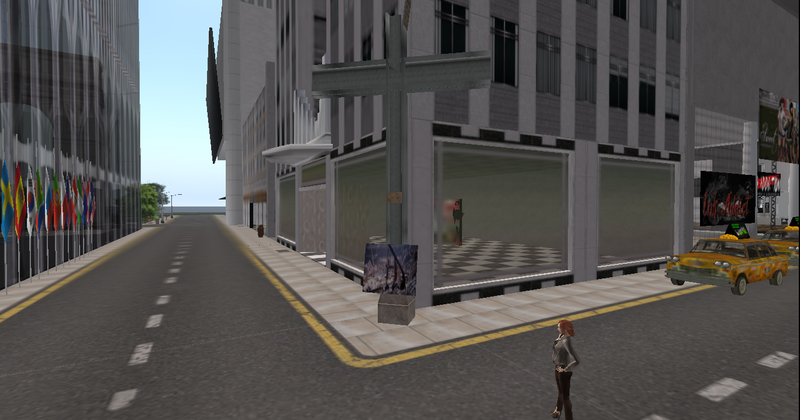 Just beside the ghost towers is a steel cross labelled Ground Zero, and, nailed to it, a very small image of the all-too-familiar image from ground zero. In the rules for the sim, it says ‘no aircraft, no weapons’. My first thought was, is that necessary? and then I realised that it probably was. On the top of the buildings, I felt like Philippe Petit. He remapped that space before it had even been finished, and then the events of September 11th remapped it all over again. I’m not sure what to make of this place. I’m not sure what to make of the rebuild. 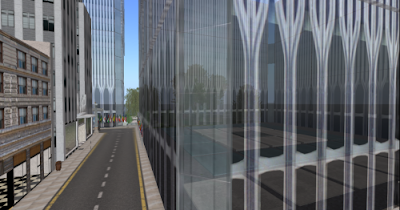 I'm not sure what to make of the buildings’ translucency. I’m not sure what to make of the land beside it - the sprawling city one could easily imagine is a perfect replica of New York, but which, in truth, could probably be any modern city in the West. Any memorial/representation/recreation is problematic, of course, and I am certainly not condemning this one. If nothing else, I guess, it suggests a kind of virtual conscience. Somebody somewhere built this, and it must have taken them a long time. 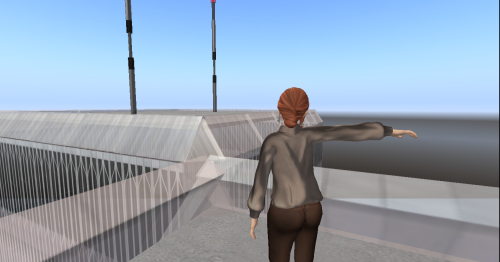 And so the Towers exist in the virtual world, though not at all in the way in which they existed in the real world. The attacks upon the real Twin Towers shaped their design in the virtual. 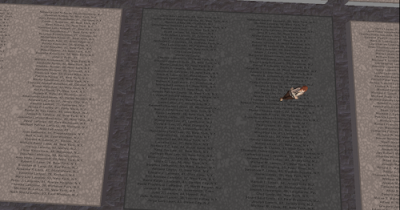 That's kind of obvious, since this is a Memorial, but it is interesting to note that they were not rebuilt virtually as if nothing had happened - which returns to the idea of the virtual conscience. At no point can we be allowed to forget (as if we could) what happened to those Towers and the people within them. Is it translucent because even though the towers are now gone, they are still there - held in the memories of the families of the people who lost their lives there! It would be interesting to see if there is something on the spot where the flight came down that was taken back by its passengers from the hands of the terrorists! Quite possibly, yes. But they also work as ghost towers. Like I said, I'm not condemning the project at all, I'm just not sure how I personally feel about it. Any kind of memorial can be problematic in a number of different ways. SL doesn't work like that. The space only exists if somebody decides to build it. I imagine the names of those people are included at this site, though I'm not one hundred percent sure on that.